Systems are comprised of AGM and 3rd party products as required to satisfy specific process control and interface design criteria. Simply describe your requirements in terms of sites, site input/output types and quantity, desired method of communicating between sites and provide a brief description of what the system is to do. Based on your design criteria, AGM creates a System Overview specific per your requirements along with Technical documentation and a Quotation for your review and comments. Design Consultation: AGM’s dedicated Domain Engineering Team members are trained to communicate with you in terms that are unique to your Process Control and Interface System requirements. There are no hidden Engineering costs associated with this servce. Documentation: All phases of System Design deveopment, production, testing, revisions and commissioning is documented and maintained by AGM. The documentation management is in strict accordance with AGM’s Quality Assurance procedures. Technical Support: Factory assistance is available 24/7 during field installation, start-up, commissioing and ongoing operation of AGM Systems. Enclosure / Packaging Options: Systems are packaged so they are suitable for the environment in which they will be installed in. Also, to simplify installation and maintenance, they include easily identifiable field wiring connection terminals. AGM products are typically used as functional elements in various process control and interface scenarios. 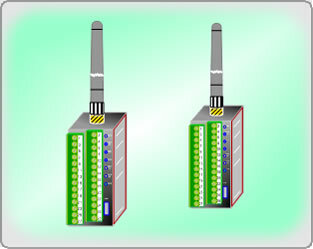 The functions include signal conversion, signal isolation, control, alarm detection, data telemetering and signal characterization to name a few. As a result of the modularity of the AGM products they are also easliy integrated to create comptete process control and interface solutions. The following is a sampling of systems AGM products has been applied to satisfy a variety of Process Control and Interface System design requirements. To lower the costs related to maintaining the decorative vegetation surrounding the Phoenix Convention Center it was decided to collect the Air Conditioning systems Condensate water and use it to supplement the water used for irrigation. The AGM ICS was selected as the Process and Interface controller. The packaged AGM Integrated Control Station (ICS) receives Air Conditioning Condensate Water Collection Tank level status from two holding tanks. Based on the Tank Level status, the ICS operates two pumps. The first pump pumps the water from the first tank to the second one. The second pump pumps the water from the second tank to an irrigation system. The ICS includes an Operator Interface panel that allows the Operator to view system status as well as manually operate the pumps and adjust system parameters such as pump on-off delay timers. 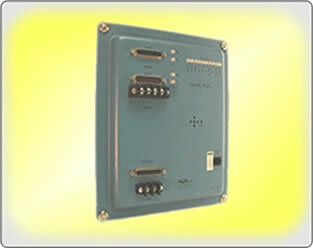 The System was supplied in a 16 X 18 inch NEMA4X enclosure. It was completely configured, tested and ready for installation, startup and operation upon delivery. To lower the costs related to maintaining the decorative vegetation surrounding the Phoenix Convention Center it was decided to collect the Air Conditioning systems Condensate water and use it to supplement the water used for irrigation.</br ></br>The AGM ICS was selected as the Process and Interface controller.</br ></br>The packaged AGM Integrated Control Station (ICS) receives Air Conditioning Condensate Water Collection Tank level status from two holding tanks. </br ></br>Based on the Tank Level status, the ICS operates two pumps. The first pump pumps the water from the first tank to the second one. The second pump pumps the water from the second tank to an irrigation system. </br ></br>The ICS includes an Operator Interface panel that allows the Operator to view system status as well as manually operate the pumps and adjust system parameters such as pump on-off delay timers. </br ></br>The System was supplied in a 16 X 18 inch NEMA4X enclosure. It was completely configured, tested and ready for installation, startup and operation upon delivery. Iluka is involved in the exploration, project development, operation and marketing of mineral sands products. One such project is located in the Richmond, VA area. This operation strip mines Titanium Dioxide rich earth that required large amounts of water to separate the TiO2 from the sandy mixture. To meet the water needs, they drilled approximately 30 water wells within a 50 mile radius and installed piping to pipe the water from the wells to the central processing plant. The pump drives are Variable Frequency which are manually controlled and operated from a Control Computer at the processing plant. AGM supplied the remote site telemetry and interface equipment along with the master site’s radio and preconfigured software to run on the local PC. Iluka is involved in the exploration, project development, operation and marketing of mineral sands products. One such project is located in the Richmond, VA area. This operation strip mines Titanium Dioxide rich earth that required large amounts of water to separate the TiO2 from the sandy mixture. </br ></br> To meet the water needs, they drilled approximately 30 water wells within a 50 mile radius and installed piping to pipe the water from the wells to the central processing plant. The pump drives are Variable Frequency which are manually controlled and operated from a Control Computer at the processing plant. </br></br>The master PC and software allow personnel to view each well’s production at a glance and make adjustments in real-time to accommodate process needs</br></br>AGM supplied the remote site telemetry and interface equipment along with the master site’s radio and preconfigured software to run on the local PC. Liquid Calcium Chloride is used for dust control and anti-icing among other things. A company in Michigan has several Brine Production Wells that are used to collect and distribute the Brine to the public. The process for inventorying and selling of the Brine is very similar to the way gasoline is sold to the public. That is, the brine is pumped from the well and is held in temporary holding tanks from which it pumped on demand to tanker trucks. Since the brine stations are unmanned, a self-serve system was required. Working with a third party company, AGM devised an unmanned Manual Loading Station that would not only let Tanker Drivers self-load but also keep track of the Driver’s ID, amount loaded and collect that data to be retrieved over the internet and to be used for Billings. Liquid Calcium Chloride is used for dust control and anti-icing among other things. A company in Michigan has several Brine Production Wells that are used to collect and distribute the Brine to the public. </br></br>The process for inventorying and selling of the Brine is very similar to the way gasoline is sold to the public. That is, the brine is pumped from the well and is held in temporary holding tanks from which it pumped on demand to tanker trucks. Since the brine stations are unmanned, a self-serve system was required. </br></br>Working with a third party company, AGM devised an unmanned Manual Loading Station that would not only let Tanker Drivers self-load but also keep track of the Driver’s ID, amount loaded and collect that data to be retrieved over the internet and to be used for Billings. When combining different materials it necessary to mix them to get an even distribution and maximum effect from the combination of the materials. This is true when it comes to treatment of water as well. For example when defending against bacteria in a water supply storage system, the maximum results can be achieved when the added bacteria fighting agent has been distributed consistently in the water. 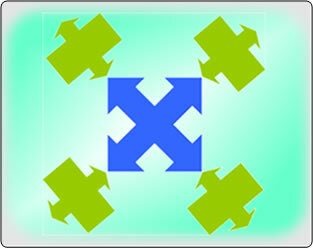 In a low “turn-over” system, variations of effectiveness may occur. This can be avoided through ongoing agitation of the combined materials. In some processes, not stirring the mixture could result in undesirable consequences. A company that manufactures and distributes mixing apparatus needed some way to monitor the apparatus and provide notification of equipment malfunction. Working with the company, AGM proposed an Alarm Detector / Data Logger. The AGM Alarm Detector monitors a 0/5 VDC that corresponds motor running current. If the current is not within a defined range after a period of time of being turned on or does not remain there, the Alarm Detector will show a “Fault” and inhibit the motor from running until the fault has been cleared. The Data Logger will also log the event which later can be reviewed by maintenance personnel. When combining different materials it necessary to mix them to get an even distribution and maximum effect from the combination of the materials. </br></br>This is true when it comes to treatment of water as well. For example when defending against bacteria in a water supply storage system, the maximum results can be achieved when the added bacteria fighting agent has been distributed consistently in the water. </br></br>In a low “turn-over” system, variations of effectiveness may occur. This can be avoided through ongoing agitation of the combined materials. </br></br>In some processes, not stirring the mixture could result in undesirable consequences. </br></br>A company that manufactures and distributes mixing apparatus needed some way to monitor the apparatus and provide notification of equipment malfunction. </br></br>Working with the company, AGM proposed an Alarm Detector / Data Logger. 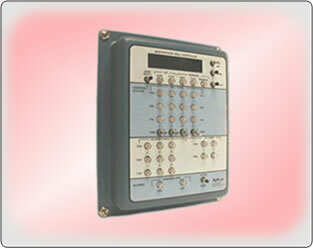 The AGM Alarm Detector monitors a 0/5 VDC that corresponds motor running current. If the current is not within a defined range after a period of time of being turned on or does not remain there, the Alarm Detector will show a “Fault” and inhibit the motor from running until the fault has been cleared. The Data Logger will also log the event which later can be reviewed by maintenance personnel. A water utility that provides potable water that is derived from both surface and well water was looking a higher degree of reliability in their disinfectant process. Their process results quality is based on the consistency of the chloramine residual in the water distributed to the public. Two process related elements can affect the consistency dramatically – 1) breaking down of the chemical feed equipment and 2) running out of chemicals. To accommodate these two possibilities AGM proposed adding a backup to their process that would activate when either of the conditions occurred while at the same time notifying operating personnel of the present condition. A water utility that provides potable water that is derived from both surface and well water was looking a higher degree of reliability in their disinfectant process. Their process results quality is based on the consistency of the chloramine residual in the water distributed to the public. Two process related elements can affect the consistency dramatically – 1) breaking down of the chemical feed equipment and 2) running out of chemicals.<br/><br/> To accommodate these two possibilities AGM proposed adding a backup to their process that would activate when either of the conditions occurred while at the same time notifying operating personnel of the present condition. A modern multi-function Solid Waste Landfill facility was built in North Central Tennessee to handle the waste of several surrounding counties. The facility includes collection and treatment of leachate as well as Methane gas that is used to generate electricity that is sold to the TVA. AGM was selected to provide the Telemetry and Interface system. A modern multi-function Solid Waste Landfill facility was built in North Central Tennessee to handle the waste of several surrounding counties. The facility includes collection and treatment of leachate as well as Methane gas that is used to generate electricity that is sold to the TVA.<br /><br />AGM was selected to provide the Telemetry and Interface system. A manufacturing plant in Michigan is comprised of a number of production facilities that consume large amounts of natural gas. Each of the faculties has it own natural gas flow totalizer that keeps track of the flow used by that facility. Once a day, two plant personnel go to each of these facilities to collect the current flow totalizer reading. The collected data is later manually entered into a data base and is used along with other data to evaluate operations. To reduce errors and lower the costs associated with gathering the flow total data, plant management elected to automate the collection of the field data. The AGM Wireless Transceiver (WTC) were installed at the flow totalizer locations and AGM’s TakeCharge control-room software was installed on a PC located at a central location. The AGM’s TakeCharge software collects, displays and records the flow totalizer data. A manufacturing plant in Michigan is comprised of a number of production facilities that consume large amounts of natural gas. Each of the faculties has it own natural gas flow totalizer that keeps track of the flow used by that facility.<br /><br />Once a day, two plant personnel go to each of these facilities to collect the current flow totalizer reading. The collected data is later manually entered into a data base and is used along with other data to evaluate operations.<br /><br />To reduce errors and lower the costs associated with gathering the flow total data, plant management elected to automate the collection of the field data. The AGM Wireless Transceiver (WTC) were installed at the flow totalizer locations and AGM’s TakeCharge control-room software was installed on a PC located at a central location. The AGM’s TakeCharge software collects, displays and records the flow totalizer data. The AGM Lime Slaker Temperature Mgmt Panel (LSTMP) is designed so that it facilitates quick overview of the process’s status and when required, simple to implement process control adjustments as a result of inconsistencies in the properties of the applied lime. The LSTMP receives the process temperature which is displayed and used by four independent setpoint comparators that provide alarm and process control functions. The comparator setpoints are independently displayed along with the comparator statuses on the user interface panel. Each comparator is easily changed by using the associated “UP” and “DN” push button. A separate “Hysteresis” setpoint point allows operator to make changes using the “UP” and “DN” push buttons as well. The AGM Lime Slaker Temperature Mgmt Panel (LSTMP) is designed so that it facilitates quick overview of the process’s status and when required, simple to implement process control adjustments as a result of inconsistencies in the properties of the applied lime.<br/><br/>The LSTMP receives the process temperature which is displayed and used by four independent setpoint comparators that provide alarm and process control functions. The comparator setpoints are independently displayed along with the comparator statuses on the user interface panel. Each comparator is easily changed by using the associated “UP” and “DN” push button. A separate “Hysteresis” setpoint point allows operator to make changes using the “UP” and “DN” push buttons as well. A customer uses watering trucks to control dust that is a result of heavy traffic over dirt roads. When the trucks are refilled the operator pulls up to the water supply source, exits the truck and manually operates the valve. The customer believed it would be more efficient if the drivers could remotely operate the valve from the cab of the truck rather that having to exit and manually operate the valve. AGM proposed providing Frequency Operated Buttons (FOB) to the operators and a radio controlled valve. This would allow the operators to operate the valve without exiting their truck. A customer uses watering trucks to control dust that is a result of heavy traffic over dirt roads. When the trucks are refilled the operator pulls up to the water supply source, exits the truck and manually operates the valve.<br /><br />The customer believed it would be more efficient if the drivers could remotely operate the valve from the cab of the truck rather that having to exit and manually operate the valve.<br /><br /> AGM proposed providing Frequency Operated Buttons (FOB) to the operators and a radio controlled valve. This would allow the operators to operate the valve without exiting their truck. The following table is a compilation of a few of the many System applications that the AGM Products can be applied to. If you have an application that you are uncertain as to whether or not an AGM System is the correct approach for you, contact AGM's Technical Support Team and they will work with you to insure that the correct product is selected for your design requirements. You may EMail , Fax or Mail your order. If you would prefer, you can place your order by phone by calling 520-722-1004.